At the core of each of Nordic Affect’s commissions on this album was the desire to explore the possibilities of their instruments (violin, viola, cello and harpsichord) within a 21st century aesthetic, while at the same time creating their own. The album’s title track 'Clockworking', for violin, viola, cello and electronics, can be seen as an encounter of the human and the machine. It is by María Huld Markan Sigfúsdóttir, well-known for her work with Icelandic band amiina. She also composed 'Sleeping Pendulum', the last track, which received honorary recommendations at the 2012 rostrum for composers. The second composer on the album, Hildur Gudnadóttir, views her work '2 circles' as a part of an on-going observation of the relationship between a musician and his instrument, where one person becomes two sound sources. Hafdís Bjarnadóttir’s piece 'From Beacon to Beacon' is designed as a conversation between two lighthouses, and the instrumental parts are based on her transformation of the weather forecast for the Garðskagaviti lighthouse into music. 'Shades of Silence', by widely acclaimed composer Anna Thorvaldsdóttir, is a piece which explores the “inwards and outwards escape to the subtle nuances of silence”, as put by Anna herself. Hailed for its “affectionate explorations” (BBC Music Magazine) and “commitment to their repertoire” (Classical Music), Nordic Affect is Halla Steinunn Stefánsdóttir (violin and artistic director), Gudrún Hrund Hardardóttir (viola), Hanna Loftsdóttir (cello) and Guðrún Óskarsdóttir (harpsichord). The ensemble was formed by a group of period-instrument musicians who are united in their passion for viewing familiar musical forms from a different perspective, and for daring to venture into new musical terrain. Since the group’s inception in 2005, Nordic Affect has played repertoire ranging from the dance music of the 17th century to electronic compositions of today. Of the group’s breadth of programming, Stefánsdóttir says, “Mixing so-called early and contemporary music feels for us like the most natural thing in the world. It's in our DNA …”. 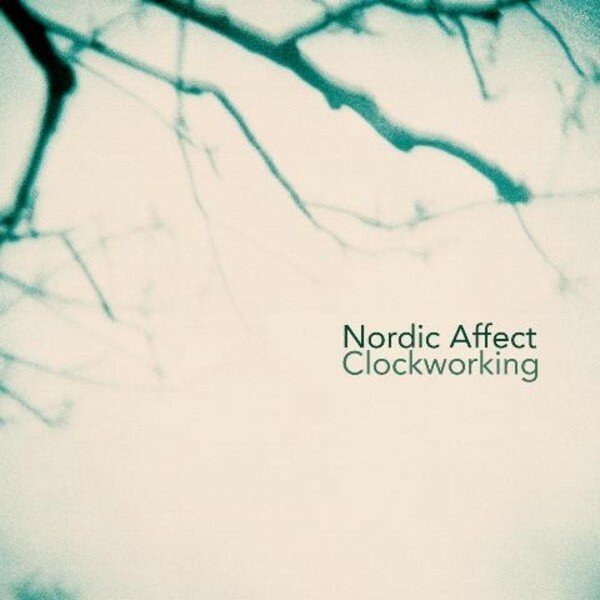 'Clockworking' fully demonstrates Nordic Affect’s excitement for innovation, experimentation, creativity and collaboration.